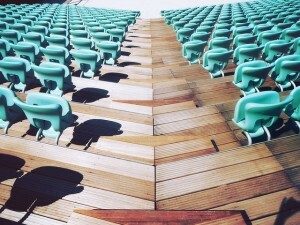 Music and Recovery: Can I Still go to Concerts Sober? The hypnotic hum of the guitar. The pulsating, almost cardiac thump of the bass. The melodic voice of the lead singer, carrying the audience far away and into another world. Few things in life enthrall us more than music, especially when it is performed live. 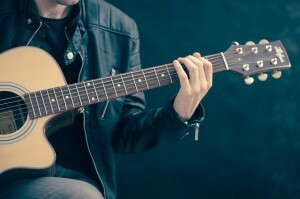 For individuals in recovery from addiction, however, attending their favorite musician’s concert is not unlike navigating a forest filled with bear traps. Drugs and alcohol are an omnipresent part of most live music events. Crushed in tight with the audience, it’s possible to smell booze on a neighbor’s breath. There might be back rooms or clandestine handshakes. It’s also entirely possible that individuals in recovery have gotten drugs at this venue before. Maybe they’ve never been sober at a concert in their entire life. What Can People Do To Stay Away From Drugs at Concerts? Some people in recovery choose to stop attending concerts altogether, but this is not always the best option. Music can be a healing force and a vital part of a person’s recovery – eliminating concerts entirely could cause more harm than good. How is it possible, then, to attend concerts while also maintaining sobriety? Concerts can be fun, but they can also be stressful. Perhaps the venue is far away, and reaching it requires driving a car for hours on end. Perhaps the recovering addict needs to take on extra hours at work to pay for the tickets. Maybe the only way to get a spot close to the stage is to wait in line all day. The hours before the concert — and the concert itself — can be filled with neck aches, backaches, and headaches, all of which can elevate stress levels. Research1 has implicated stress as one of the most dangerous relapse triggers. To minimize the possibility of a relapse, recovered addicts should enter the concert feeling as healthy and stress-free as possible. They can enlist a friend to help them drive or make sure to only attend concerts on weekends. Concerts are vibrant, invigorating and enticing. The air is filled with energy, not only from the musicians but also the crowd. For this reason, attending a concert with another person can be a terrific bonding experience. If the person is a friend, the evening might lead to a new collection of inside jokes. If the person is a significant other, the experience might be deeply romantic. Having another person watch out for triggering drug cues is also a good way to avoid the temptations of relapse. 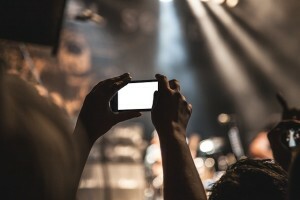 Even if recovering addicts do not consider themselves to be writers, they should attempt to write about their concert experience in a blog or a journal. When people are sober, their minds and memories are significantly clearer. Recovered addicts can take advantage of this by soaking in every possible detail in the concert. What does the venue look like? What color is the carpet? What jokes did the musicians tell, and what ridiculous antics did the audience get up to? By focusing on the concert as though they were going to write about it, they can solidify the experience in their mind. The idea is to make sobriety an asset. Even if recovering addicts take all of the proper precautions, some concerts might still prove too intense. Before the concert begins, they should form an exit plan. This plan should include creating a signal or safe word to quickly convey to friends and loved ones that it’s time to go, as well as arranging for transportation. Leaving early does not mean the recovered addict is giving up. He or she can still attend another concert by the same musicians at a later time. It’s important to take things one concert at a time. In the end, the best way to survive a concert while staying sober can be summarized in two points: Take care of yourself and make the experience into a worthwhile memory. Attending a concert might require a slightly different strategy this time around, but it’s still possible. The hum of the guitar, the heartbeat of the bass and the melody of the lead singer are all well within your reach. Music plays an important role in the recovery of many. How has music affected your recovery?